No Interest. No Fees. Four Equal Payments. Looking for financing options? We make it simple with KLARNA! No interest. No fees. No credit check. Slice your purchase into four payments. The first payment is collected when the order is placed. Remaining 3 payments are collected every two weeks. 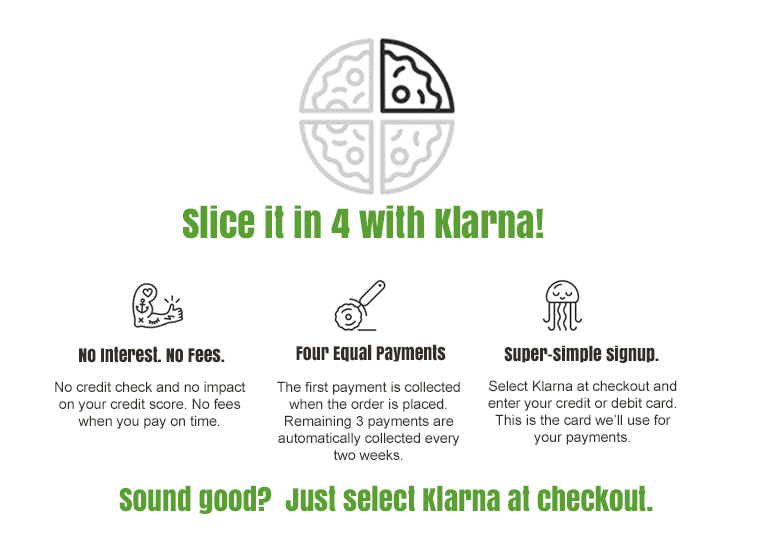 Simply select KLARNA at checkout and enter your credit or debit card.